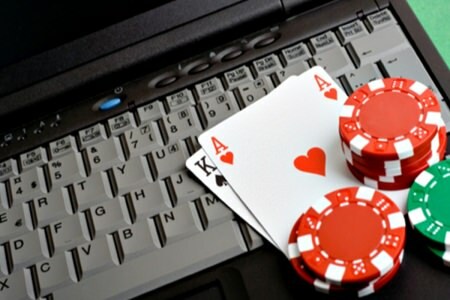 It seems that online poker could become a reality in Pennsylvania. On Tuesday, a bill, sponsored mainly by Senator Edwin Erickson, was introduced in the state senate. On Tuesday, an online gaming bill was introduced in the Pennsylvania state senate. This bill came after a study of gambling in the state, which was released in May, concluded that online poker could lead to revenues of around $129 million annually. This new bill differs from previous ones in that a line which defined ‘authorized game’ has been removed. This line, that is now missing, stated, “The board only may approve poker games pursuant to this chapter”. The new bill now reads, “Any interactive game approved by the board pursuant to this chapter”, which means that any casino games could also be allowed under this new bill. The new bill also allows for inter-state compacts with territories and other states but not anything internationally. Meanwhile, the ‘bad actor clause’ remains the same which means that any companies which accepted players from Pennsylvania after December 31, 2006, will be forbidden to participate. This includes software, hardware or any player databases that were used in violation of the UIGEA. The bill also clearly outlines the tax rate at 14% while promotions can be deducted. Funds taken from fraudulent players could also be counted as taxable income. Unlicensed operators will also need to pay these taxes and if found in violation of this, the minimum fine is $75,000 plus a prosecution for tax evasion. Operators would need to pay $5 million for a license and any affiliates will require a Pennsylvania license too. Other terms include the segregation of players funds in separate accounts and players need to be 21 years of age or older to play. Problem gambling information needs to be displayed by gaming sites and bot play is strictly forbidden.